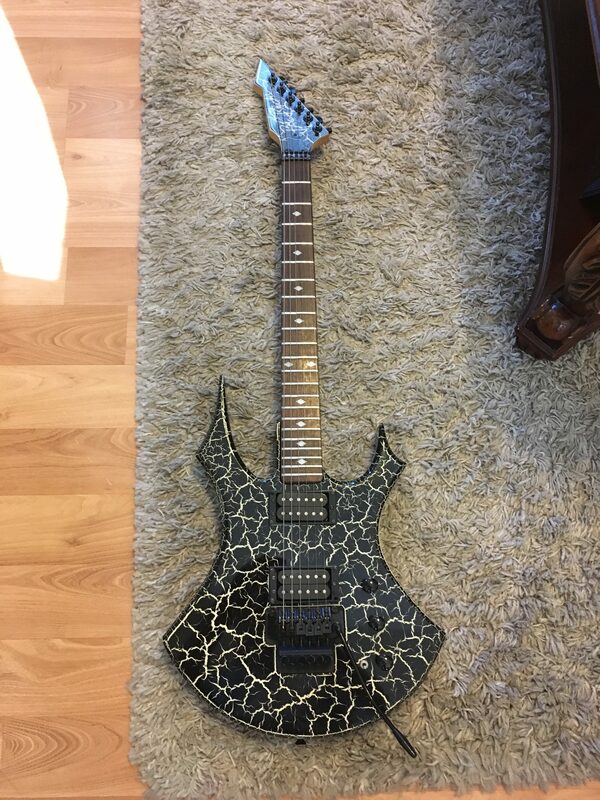 Rare 80’s BC Rich NJ Series Firecrackle Virgin Guitar W/Reverse Headstock in excellent condition. 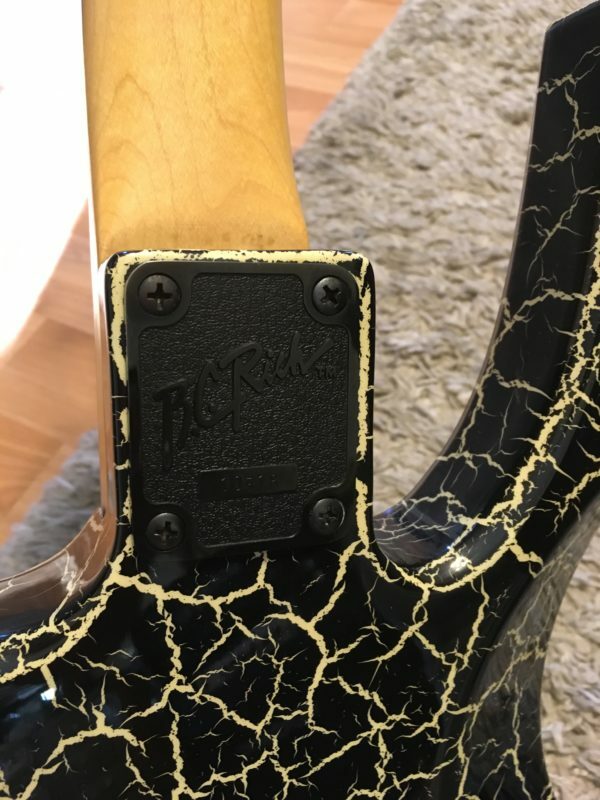 Just in to Roadhouse Vintage USA location is a very rare 1980’s BC Rich Virgin. 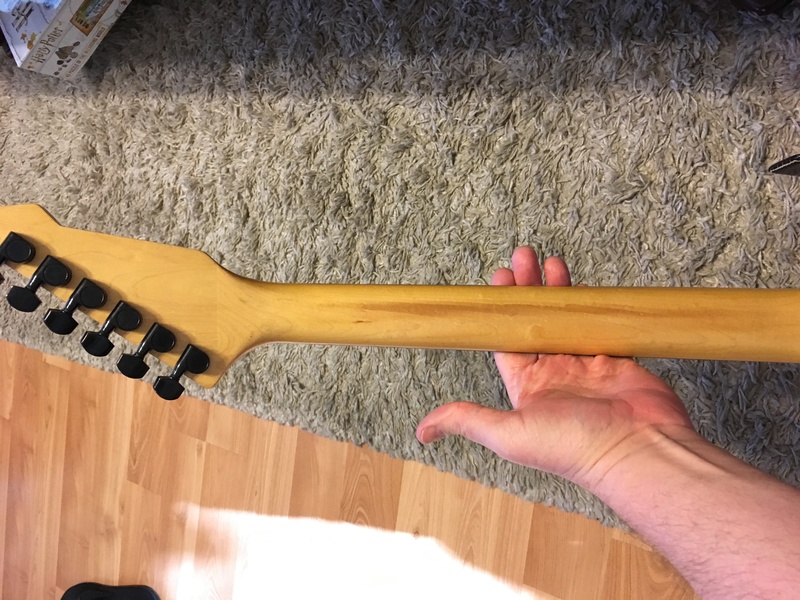 You will not find many of these around, not only because of the Firecrackle finish, but also with the reverse headstock. 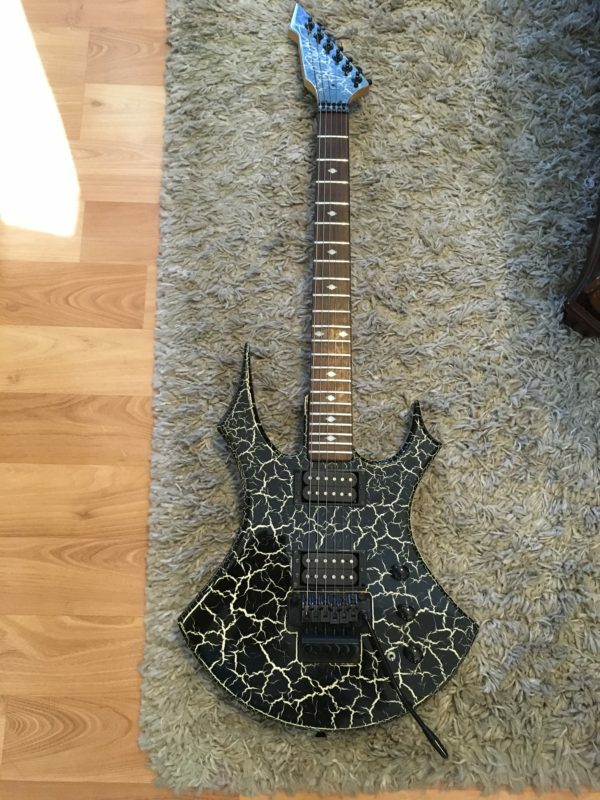 This one is the N.J. Series and has a killer, fast neck on it. 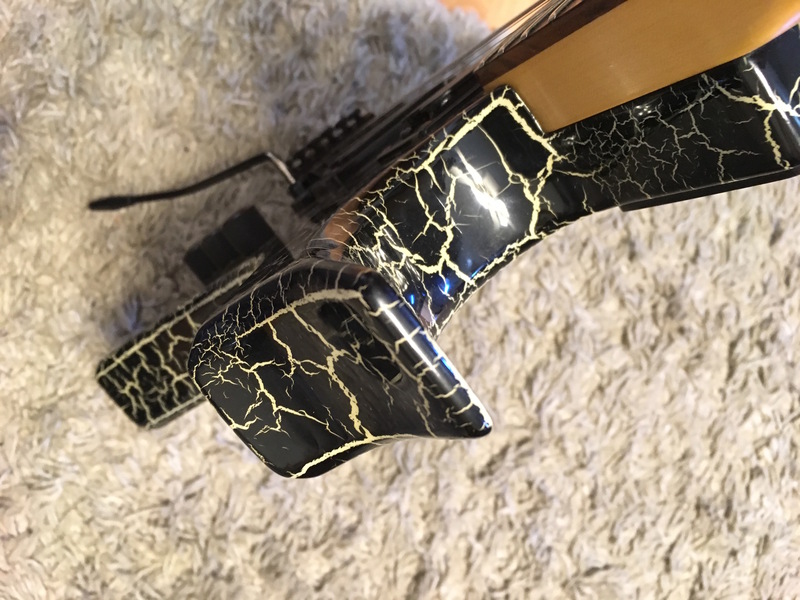 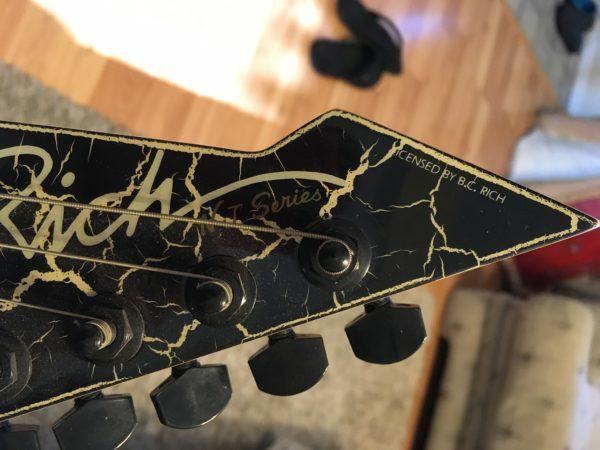 It feels (to me) like the neck on many of the USA made BC Rich’s I have owned in the past. 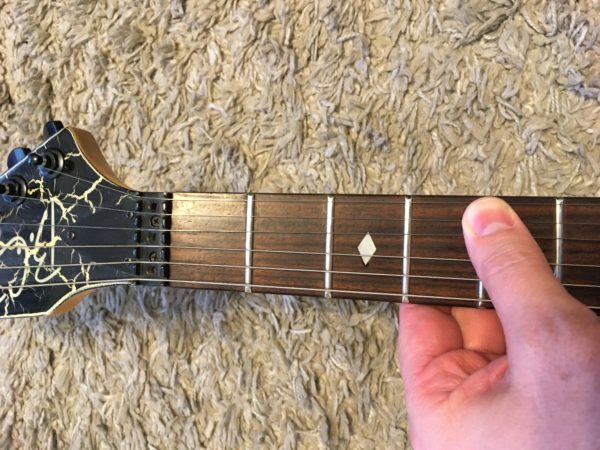 Very low action, straight neck, it is a shredder for sure. The other thing about this guitar is that it is in incredible shape for its age. 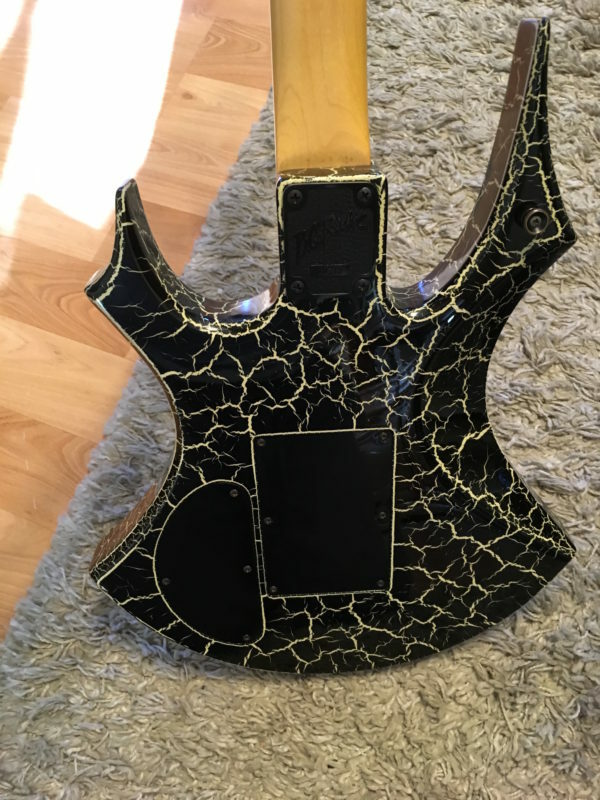 NO DINGS ON THE POINTS!!! 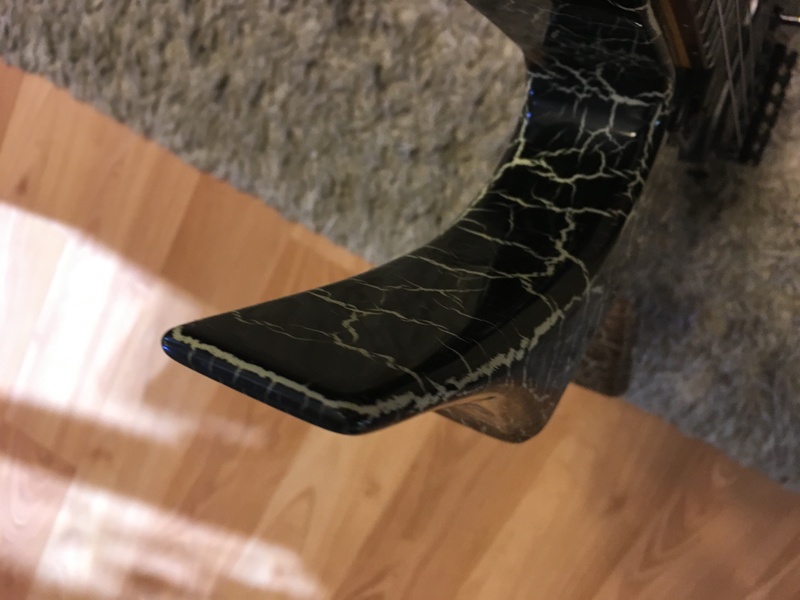 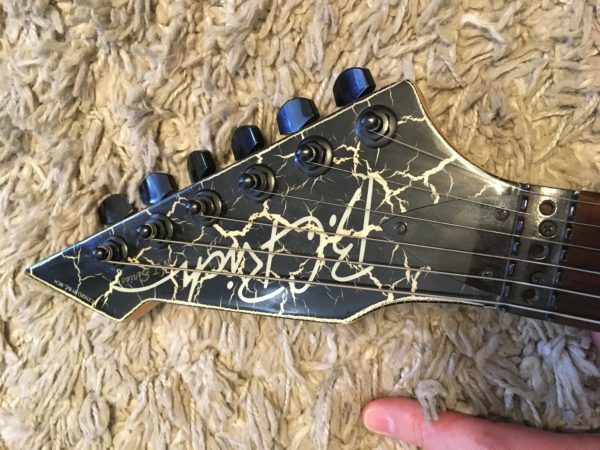 Try and find another pointy BC Rich from the 80’s without at least one ding on the tips-lol. This guitar is in exceptional condition and has very minimal fret wear as well. The only thing to note is that it is missing the locking nut, but it does come with the trem bar and it stays in tune quite well. 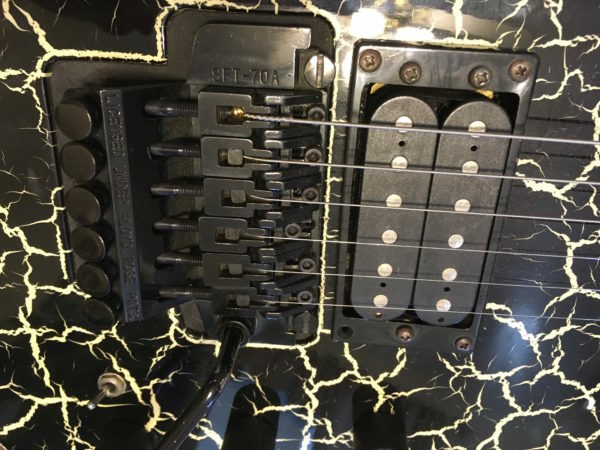 The pickups appear to be original and are probably Dimarzio or some sort, I have not taken them out to check. 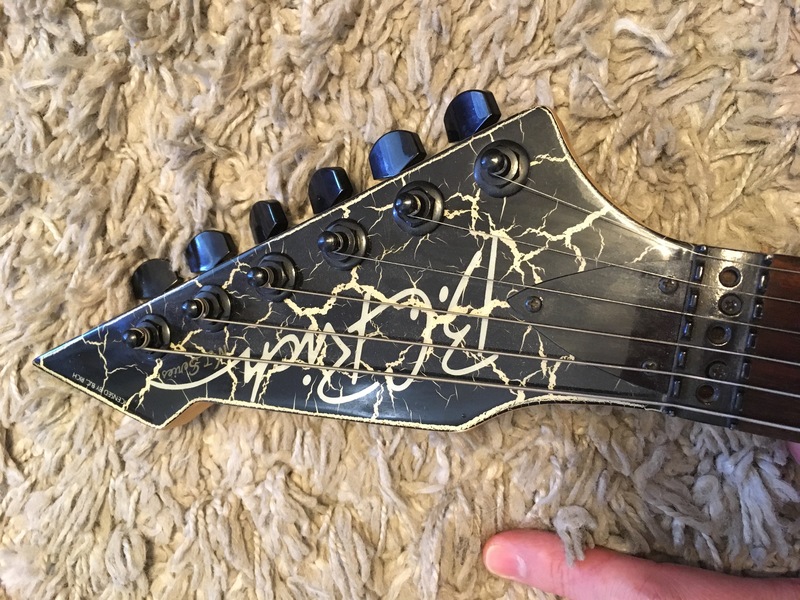 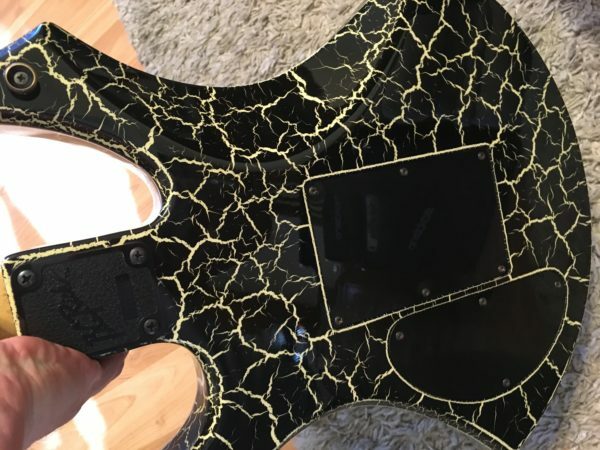 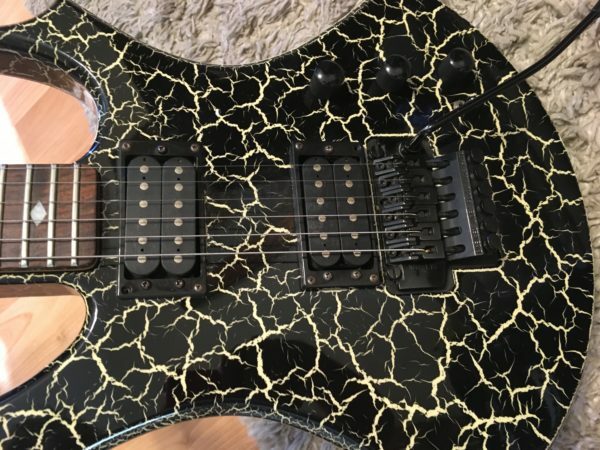 Overall, this is a very clean example of 80’s BC Rich craftsmanship, and while not an American made model, it is as good or better as many of the BC Rich USA models that have been produced in the last 20 years or so. 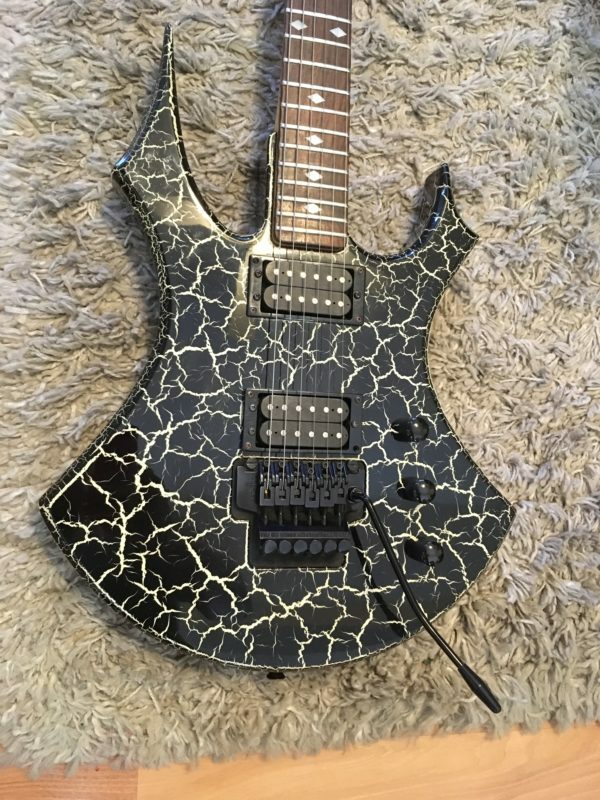 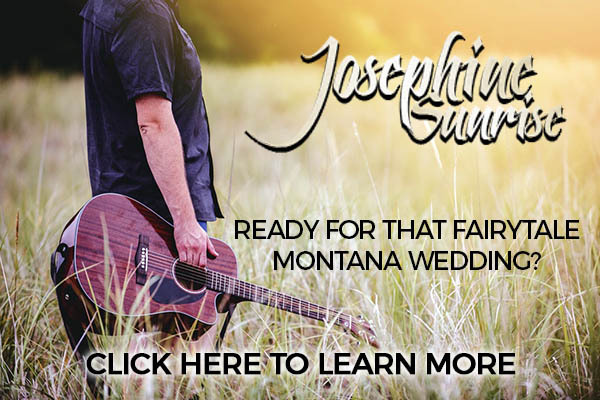 Get it while you can, it is a nice price for this type of guitar!